Exchange administrators often have to deal with various damages and logical errors in users’ mailboxes. Such logical errors appear in such problems as synchronization errors, Outlook hangs, incorrect representation of the folder items, wrong items number, search and public folders errors, etc. These errors mostly occur due to failures on the Outlook, in case when client incorrectly updates MAPI flags during mailbox folders elements processing. Most often, this happens with shared mailboxes which is used by several users simultaneously. In most cases, the user may not even be aware of the presence of errors in the connected mailbox or folders, formally everything is working fine. However, with some errors, the user may experience problems while accessing the mailbox or certain folders, viewing or deleting emails or folders, etc. If the user encounters such problems, the administrator of the Exchange server should to use one of three following ways to restore such a damaged mailbox. Importing data from Outlook running in cached mode to a .PST file, removing and re-creating a new mailbox for “problem” user and finally importing data from the PST file to the new Exchange mailbox. This method assumes a certain amount of manual manipulation on the user’s computer. 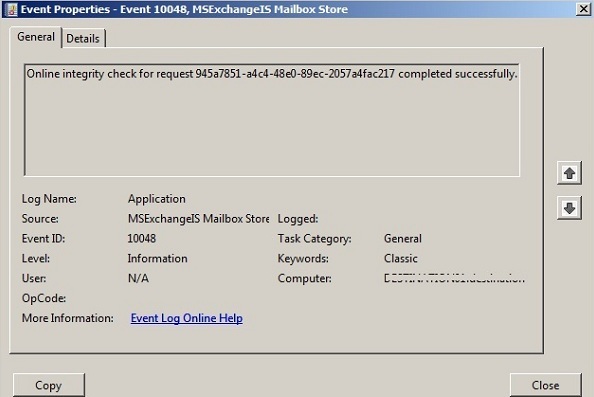 Complete unmounting of mailbox store and checking it with Isinteg.exe (Information Store Integrity Checker) utility which allows to fix damages in Exchange base on application level. This method requires quite long mail service down time for all users whose mailboxes are allocated in disconnected database. Note. In some cases, you can try to move all user`s mailboxes to the “healthy” mailbox database. In this case you can check store integrity without disabling a large number of users. However, this technique is not always applicable for the various reasons. Restore the Exchange database from backup (How to backup Exchange 2013 mailbox database), import data from a specific mailbox to PST file and further data transfer to re-created mailbox. 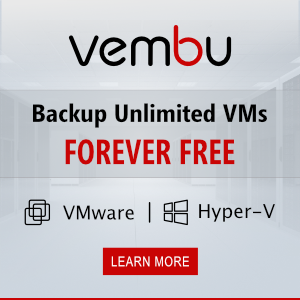 This method has one disadvantage – all emails which got to user`s mailbox after last backup execution time can be lost. Exchange server administrators had to use all methods described above up to Exchange 2010 SP1 release, when more convenient functions appeared to restore the logical structure of the damaged mailbox – the new PowerShell cmdlet New-MailboxRepairRequest. This cmdlet allows you to find and fix all logical errors and corruptions in the Exchange database on the application level. You can search and fix all errors for both a certain mailbox and all mailboxes in the database. In addition, when you use the New-MailboxRepairRequest cmdlet, you do not need to completely take the mail database to offline mode. Only one mailbox for each database is unavailable, the one for which the verification and integrity is currently being performed. Before performing any of described above radical ways to restore of mailbox integrity you should definitely try to use this PoSh command. You can use this cmdlet to find, repair, and monitor corrupted mailboxes in all supported versions of Exchange 2010, 2013, and 2016. ProvisionedFolder – folder logical structure damage. The following example will start the process of woshub user mailbox analysis and recovery for all 4 types of damage. The command runs in background mode and its results are not displayed in the PowerShell console. You can trace it by the taskID (RequestID) or / and with the help of Windows event log (event source: MSExchangeIS Mailbox Store; EventID 10059 – repair request start; EventID 10048 successful completion of the repair request). 10051 – The database repair request was cancelled because the database was dismounted. Tip. Special cmdlet Get-MailboxRepairRequest appeared in Exchange 2013, which allows you to get the status of the mailbox repair task. One of the features of the New-MailboxRepairRequest cmdlet – after it is started, the mailbox repair process cannot be interrupted without stopping the Exchange Information Store service and unmounting the mailbox database. If there are several mailbox databases on the server, in order to maintain the performance of the Exchange server, it is not recommended to run New-MailboxRepairRequest at the same time for a large number of databases (although only one MailboxRepairRequest process is supported for one database and up to 100 repair requests per server). Let`s look at one small case as a practice-oriented example of cmdlet usage. Cannot delete this folder. Right-click the folder, and then click Properties to check your permissions for this folder. See the folder owner or your administrator to change your permissions. After the successful completion of recovery operation (eventid 10048), the corrupted folder immediately disappeared from Outlook Web App. As for the Outlook, here we had to delete local cache (ost file) for correct mailbox display. It has been observed that powershell script New-MailboxRepairRequest does not work in every case of corruption. As an alternative, you can try Exchange inbuilt utility Eseutil or any third party tool to repair severely corrupt EDB files. You can try Stellar Phoenix Mailbox Exchange Recovery, Kernel Exchange Recovery, PcVita exchange recovery and many more are available. This application successfully repaired, rebuilt, and mounted the databases back to Exchange 2013 server. Hope this will also be help to those who are able to handle severe corruption issues with New-MailboxRepairRequest command line utility. It supports to all versions of MS Exchange server i.e. 2016/2013 / 2010 / 2007 / 2003 / 2000 and MS Outlook. This application did a great job in our case and we successfully fixed around 8500 corrupted mailboxes. Yes, Steve you are right that powershell script New-MailboxRepairRequest does not works with every Exchange corruption case and also not with every version of Exchange and it is highly complex and time consuming also. The Exchange admin always requires some utilities that makes their work easy and time efficient. You can try its free demo version to evaluate it ! I am completely agreed with Steve Smith and Rachel Bel users. The PowerShell Scrip New-MailboxRepairRequest doesn’t works on all types of corruption cases in Exchange server and also this feature not available in all Exchange server versions. In case if you are facing any problem which performing this New-mailboxRepairRequest feature then I recommended, try users friendly Exchange Recovery Software which helps to repair corrupted EDB file mailboxes from all version of Exchange server without any trouble. It helped a-lot! I had used 3 party tools to fix Exchange issues, but next time I’ll diffidently try these manual methods. And I will revert again if above worked. Sounds like solution is worth. I love the spam comments. Made for an enjoyable read. Agreed with James. Spams but look pretty legit. Very informative Marketing material though. Thanks, this article very helpful to recover mailbox or items from exchange server 2010. I never used any 3rd party software to fix a mailfile … if the board features couldn´t fix it its broken. There is no need to use a 3rd party application … i mean who wrote it and did you truest those developers to fix the hearth from your exchange environment? Think about it !! !